120 Days Same as Cash $273.00 - Low Prices Mean Low Payments. 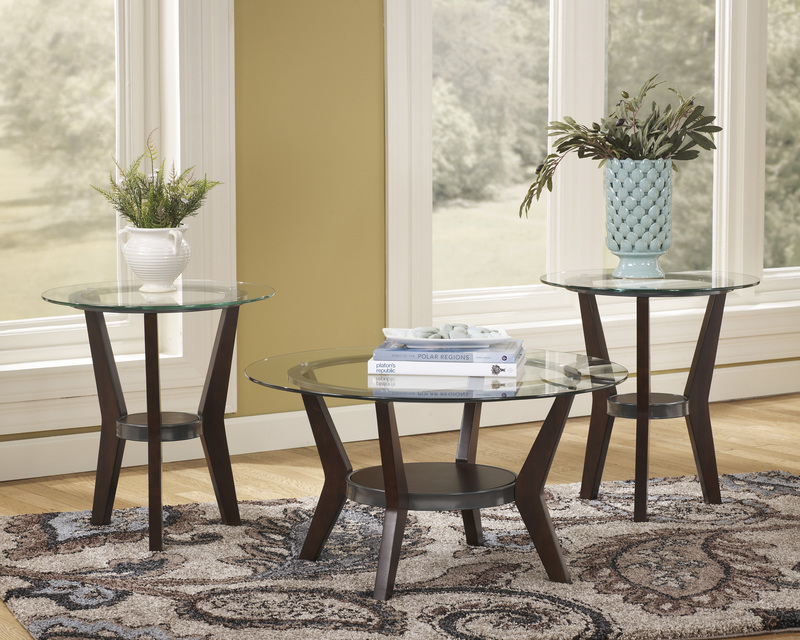 Contemporary style takes on a beautiful shape with the Fantell coffee table set. The framing is structural, sophisticated—and beautifully displayed through clear glass tabletops. Cocktail table shelf Width: 14.75"
Cocktail table shelf Depth: 14.75"
Cocktail table shelf Height: .00"
Cocktail table top to shelf: 9.50"
End table (2) Depth: 22.00"
End table (2) Height: 24.00"
End table shelf Width: 7.50"
End table shelf Depth: 7.50"
End table shelf Height: .00"
End table top to shelf: 11.50"